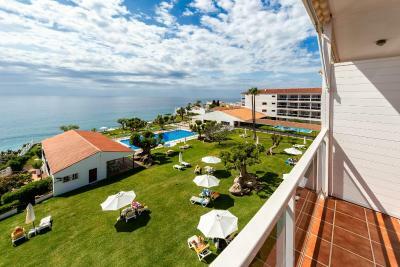 Lock in a great price for Parador de Nerja – rated 8.9 by recent guests! The grounds were beautiful. Breakfast was very good, with a lot of options. The breakfast is amazing, even though it costs a lot. The hotel owns a area that has a lots of privacy and fantastic ocean view. Will come back for sure! 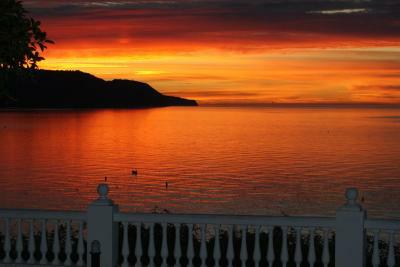 Beautiful view of the Straits of Gibralter from the property. Very clean facility. The staff was friendly and helpful. Love the location and the staff. Always willing to assist. 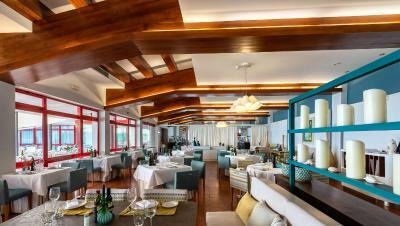 Restaurant is excellent & the breakfast buffet wonderful. We will continue to stay there. 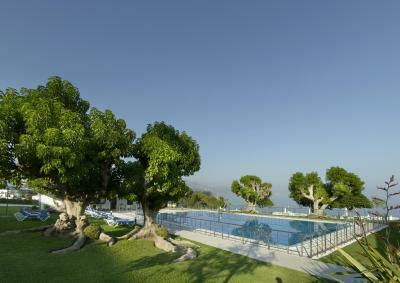 Pool was fantastic with plenty of sun loungers, free pool towels and great views. Restaurant, Al fresco eating from a good menu of mainly local dishes. Excellent breakfast served in the morning. A real gem and at a reasonable price. Great location on a bluff overlooking a wonderful beach with an elevator down! 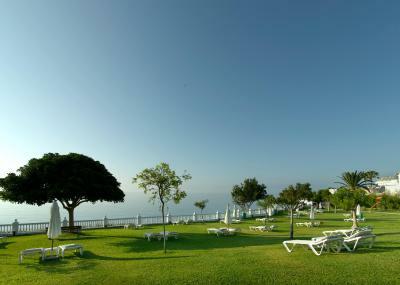 Large grassy area with lounge chairs/umbrellas to relax and enjoy the views out to the Mediterranean and bluffs. 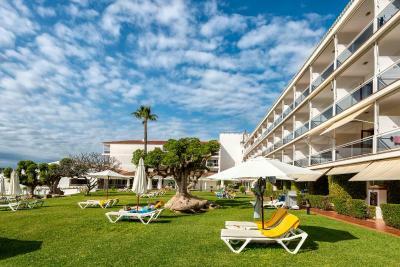 Very quiet and relaxing location but still close to Nerja. Not real fancy or formal. Breakfast at this Parador was extraordinary. Also, we liked being able to have large variety in the bar menu. Being able to eat earlier and lighter suited us. 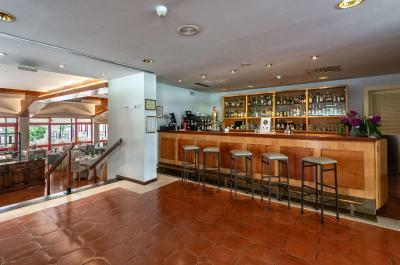 Reception and bar manager were pleasant; salmorejo was delicious. 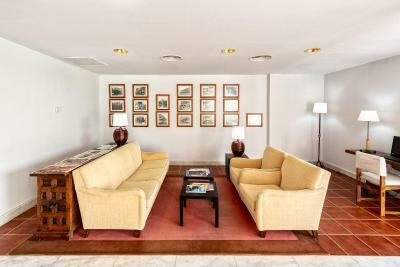 Parador de Nerja This rating is a reflection of how the property compares to the industry standard when it comes to price, facilities and services available. It's based on a self-evaluation by the property. Use this rating to help choose your stay! 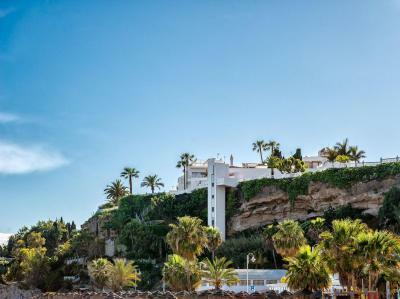 One of our top picks in Nerja.Parador de Nerja offers direct elevator access to Burriana Beach and wonderful views of the Costa del Sol. 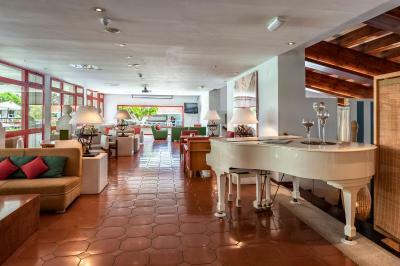 It has an outdoor pool, tennis courts and free WiFi throughout. 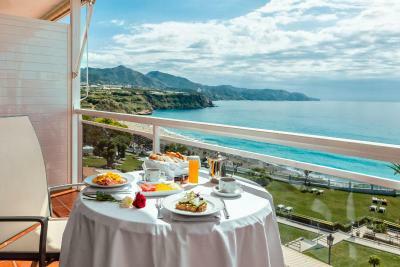 The Parador’s air-conditioned rooms have a balcony or terrace, with views of the sea or the charming town of Nerja. Each spacious room includes a flat-screen TV and mini-bar. 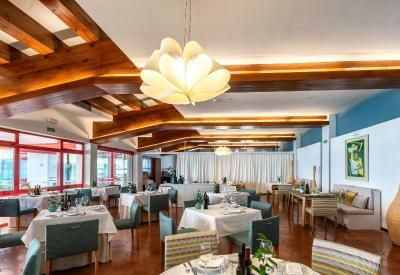 The hotel’s elegant restaurant serves a varied breakfast buffet and traditional Andalusian dishes. Specialties include fried baby fish, garlic soup and goat in almond sauce. 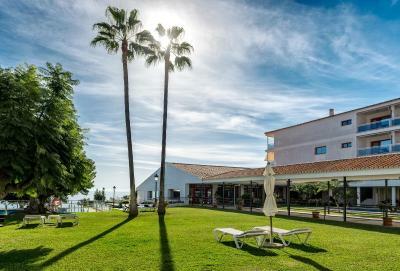 Located on a clifftop, the Parador Nerja is 5-minute walk from the town’s shops and bars. There is easy access to the N340 Coast Road, and on-site parking is offered. 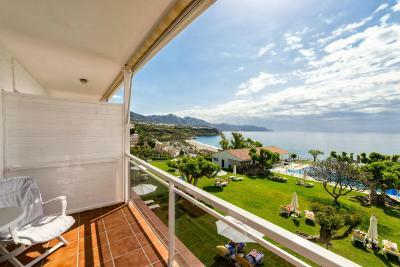 This property also has one of the top-rated locations in Nerja! Guests are happier about it compared to other properties in the area. 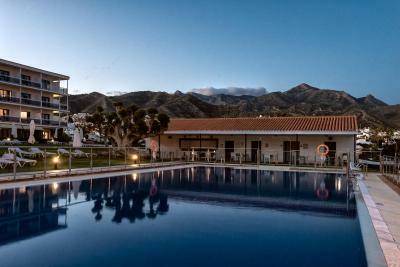 When would you like to stay at Parador de Nerja? 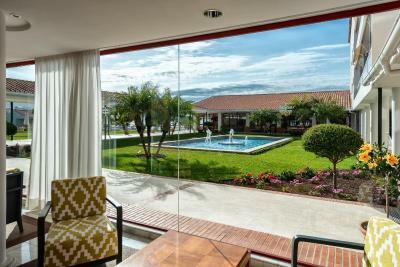 This air-conditioned room has a balcony or terrace, with views of the garden. It comes with a flat-screen TV and mini-bar. Free WiFi is included. This ground-floor double room has direct garden access. It includes a king-size bed, spa bath and mini-bar. This triple room has a balcony, spa bath and air conditioning. This triple room features air conditioning, mini-bar and seating area. 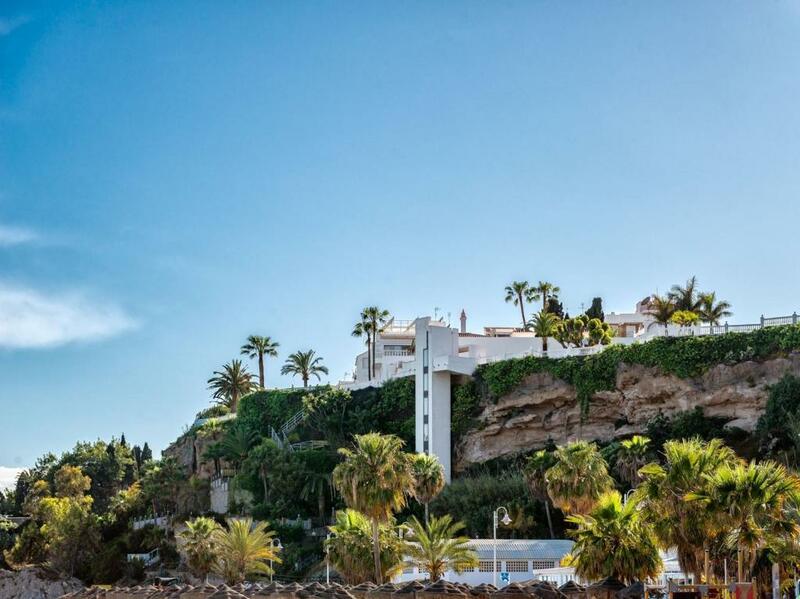 The Parador de Nerja sits on a cliff above the sea on the Málaga coast, amidst wonderful beaches. 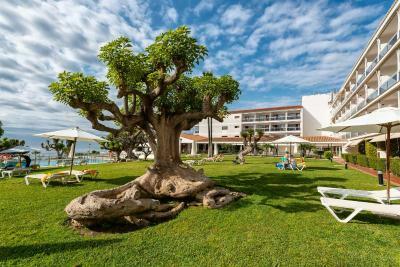 The hotel will greet you with a magnificent garden in which the greenery contrasts with the blue of the seasonal swimming pool. 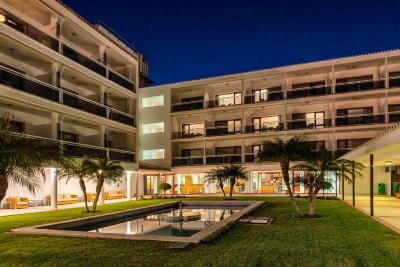 The bright, spacious interior is very comfortable and almost all of the guest rooms have balconies facing the sea. 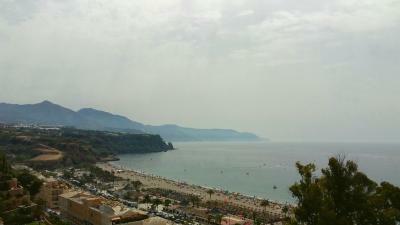 The superior rooms offer spectacular views of the Mediterranean, the Sierra Almijara Mountains and the lovely cliffs. 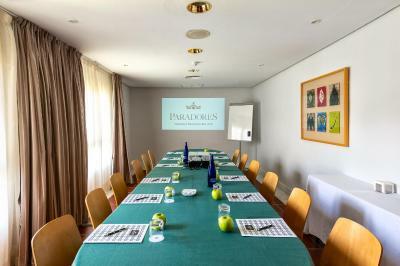 House Rules Parador de Nerja takes special requests – add in the next step! 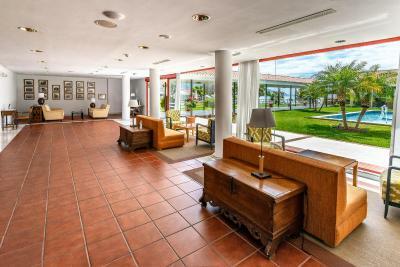 Parador de Nerja accepts these cards and reserves the right to temporarily hold an amount prior to arrival. 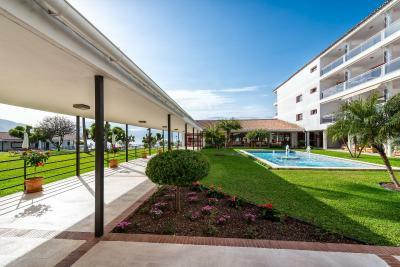 The location was excellent with easy access to Burriana Beech via the elevator (only available to guests of the hotel) and only a short stroll from The Balcon de Europa. The breakfast was excellent and the gardens are superb, especially for sun bathing. The hotel is good, everything works, but it could be so much better. There is no wow factor. 12 euro charge for parking . Ridiculous , the lot was almost empty , do this in summer only , One of the señor at reception was grumpy and rather unpleasant , Balance of stadf was excellent . Ocean view , lovely room , breakfast , staff communicated very well to me in English perfectly . The stay was spoiled by a very poor dinner. The food was terrible and way overpriced and should be refunded. Great location. Especially enjoyed a leisurely breakfast sitting outside enjoying the views. The gardens are beautifully kept. The lift to the beach area is a bonus. Front of house staff were not very friendly. Setting fantastic, wonderful breakfast, very clean rooms house cleaning staff were excellent . Our room had a horrible smell of sewage when we arrived-thought it would go if we aired the room and it did initially then came back stronger and my partner woke up feeling sick in the early hours. Smelled like diahorrea-man on reception said that it happens after it rains. Loved the 60’s design of the hotel and aspects of the room. Good central location. The rooms are on the seal small side and dated. I was expecting a more up to date place for the price. The breakfast and the view from the dining room were incredible. Our dinner was NOT good at all....the quality of the food did not match the quality of the property. In fact it was substandard and way over priced. The property is very classy and the setting was wonderful. The breakfast was great except the coffee was terrible. Paying for the car park. Very stylish. Iconic position and beauty of setting. Room staff very polite and friendly and good at their job. Friendly attentive staff. Cleanliness. Comfortable beds. 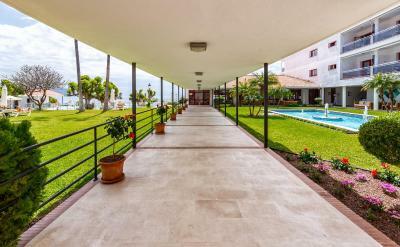 Beautiful restful gardens with access to beach. As Amigos members parking was half price.